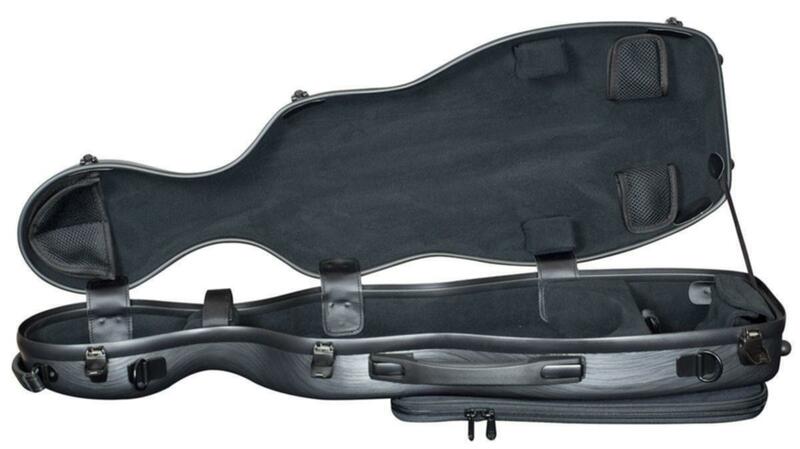 This stylish cello style case for full size violin ticks all the boxes. Compact and easy to carry it offers great storage and security. The slimline design makes it perfect for backpacking. Lightweight Polycarbonate shell. 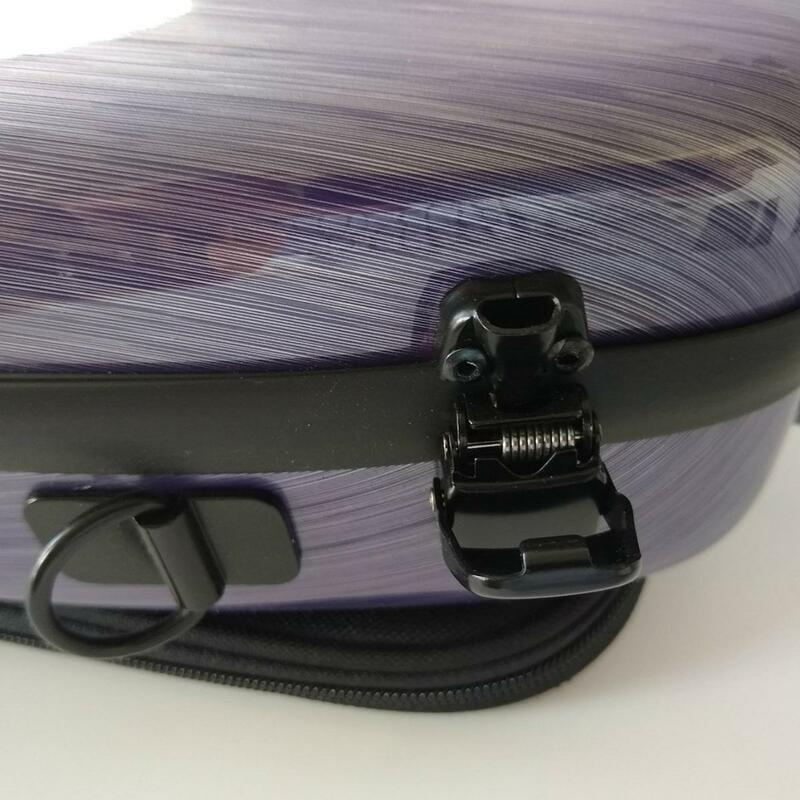 Strong but super light polycarbonate shell. 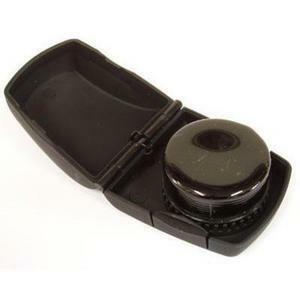 Features include sprung carrying handle with soft rubber insert for comfort. 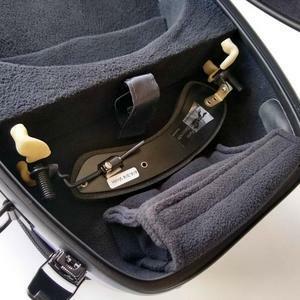 Large, dedicated shoulder rest bay accommodates a wide variety of popular shoulder rests. 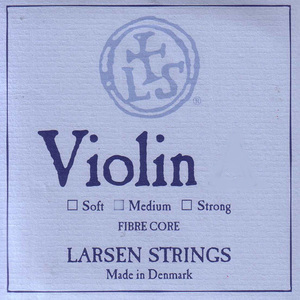 Includes rosin bag. 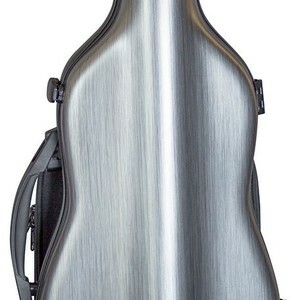 4 quick release cello case style metal lid latches. 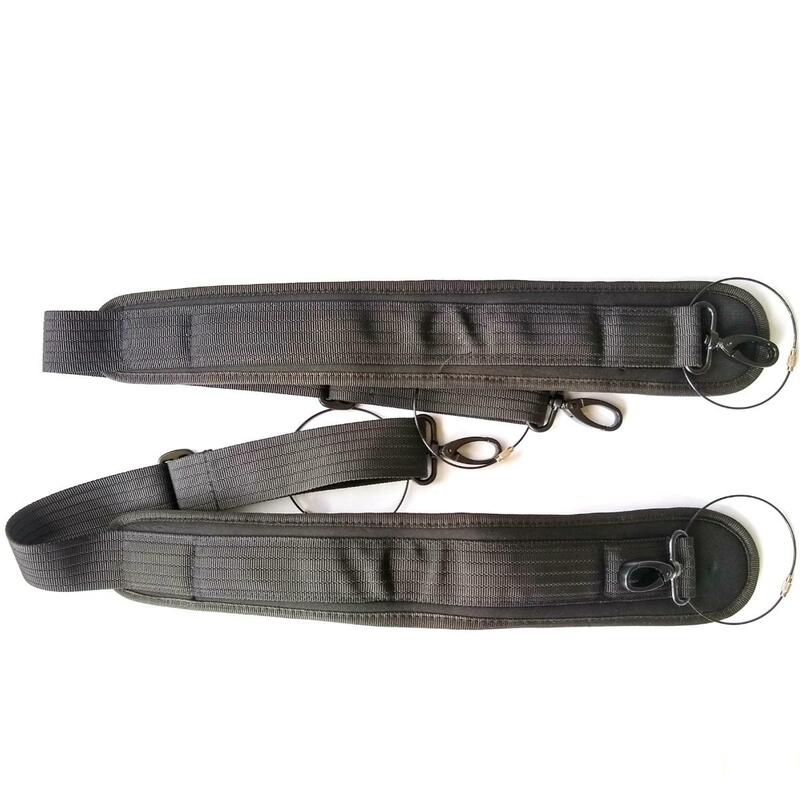 Strong metal rucksack strap mounts. Soft velvet lining. 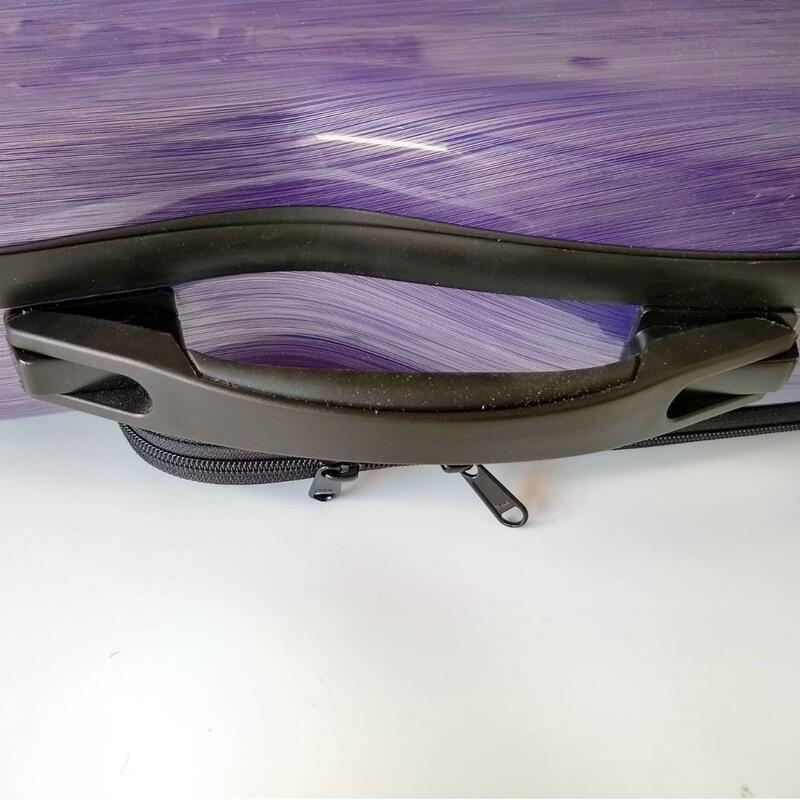 Magnetic bow holder straps. Velcro neck strap and 'Subway' handle. Rubber feet. We rate all our cases according to the level of use they are suitable for. Please take these into account when selecting a case. We rate this case as suitable for music student and professional use. Price includes shipping to UK Mainland only. (Excludes Highlands and remote areas). Surcharges apply for other destinations and will be shown at checkout prior to payment. Detachable padded rucksack straps with spring clips and steel security cables. Side Handle with soft rubber insert. 2 Mesh Bow Holders with magnetic fasteners. 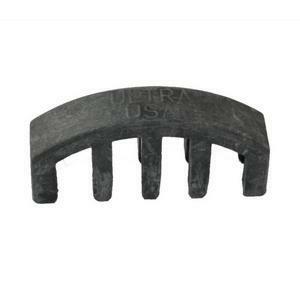 Rubber feet on back and side. Good build & adequate protection. Nice case. Pros: Quality construction (sturdy clasps, hinges, straps) Attractive (carbon fiber effect) & quirky looks. 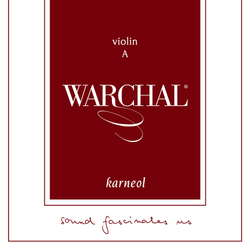 Comfortable to carry (both handles and "rucksack" straps) Good size 'accessory' section (easily holds shoulder rest [tried Kun & Wolf], strings, rosin, practice mute, pencil and money, with room to spare) Music pouch with divider. Cons: Tight fit for bows... they only just fit in. Upper and Lower bouts could do with some lateral cushioning (for side-to-side support). Head to toe, front-back and neck support is adequate but body of instrument can move side to side if bumped and the fleece lining isn't exactly "padded" - I'll make some small cushions to add. 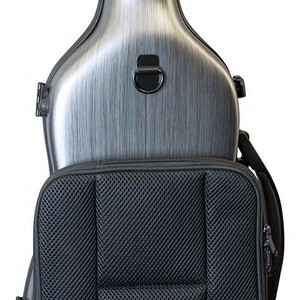 Other: Overall this is a really nice case and fulfills the purpose I bought it for - 'lightweight' (lighter than my old oblong case), easy/comfortable rucksack carrying with music pocket. 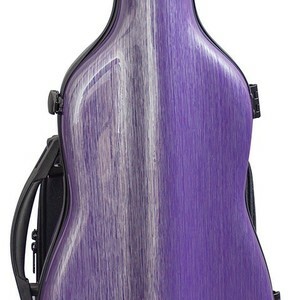 Pros: Quirky violin case. 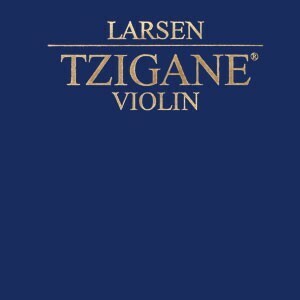 Absolutely super fit for my second violin - a 5 string Tim Phillips fiddle. Strong and secure and e trembly lightweight. I like that a shoulder rest can be anchored into a designated space. Easy to carry as a backpack if required. Very good value for the price. Would highly recommend. 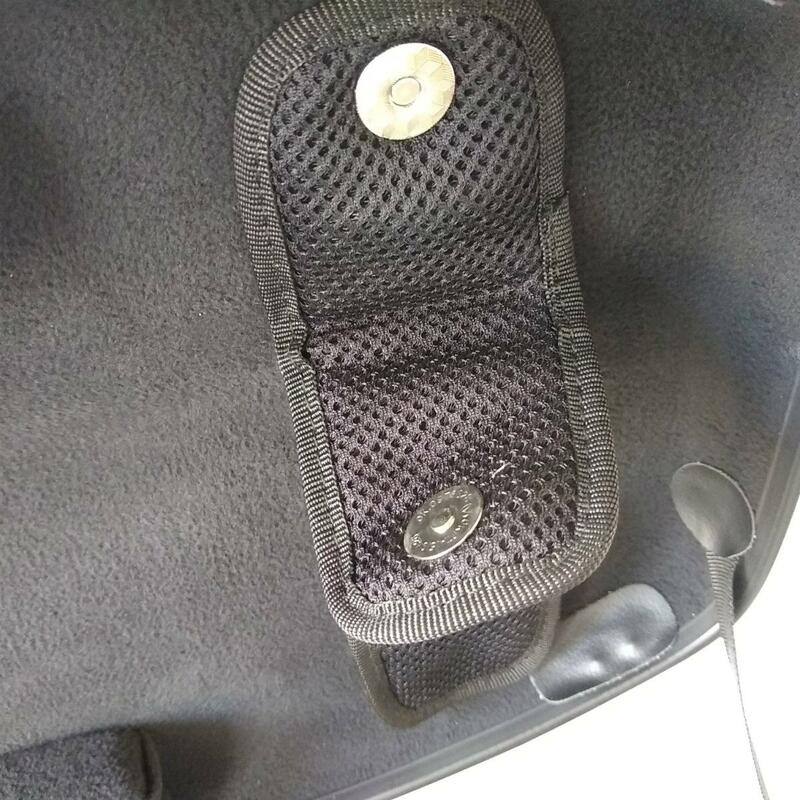 Cons: Would have liked a little more padding inside although this really is a minor detail. Great style but not the case for me! Cons: The bow fit is extremely snug, so much so that I wasn’t happy to risk using it with my bow. 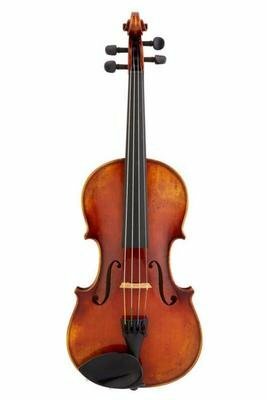 There is space for two bows, but in order for one to fit it has to be placed diagonally, so only suitable for one, really. My son is using the case instead - he’s delighted with it!